Arthur Lee Conley was born on January 4, 1946 in McIntosh County, Georgia but grew up in Atlanta. At the age of 12 he was part of a gospel group that appeared frequently on the local radio station, WAOK. 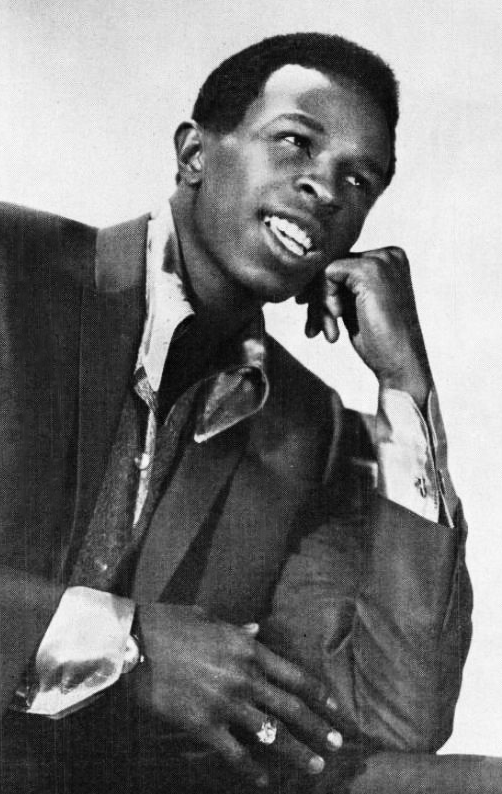 By 1963 at the age of 17, he led the R&B group Arthur & the Corvets. The group released three singles between 1963 and 1964, “Poor Girl,” “I Believe,” and “Flossie Mae.” The records were not successful, prompting Conley to focus on his solo career. In 1964, Conley released “I’m A Lonely Stranger” on Ru-Jac, a small Baltimore, Marylandlabel. Label owner Rufus Mitchell passed the single on to Otis Redding. Impressed by the track, Redding invited Conley to record the song at Stax Studios in Memphis. He did, and in 1965 “I’m A Stranger” was released on Redding’s label, Jotis Records. Following the collaboration with Redding, Conley released “Who’s Foolin’ Who” in the early part of 1966. He then signed with Fame Records to record “I Can’t Stop (No No No).” Redding began advising Conley on business decisions and eventually collaborated with him on songwriting and production. Conley’s most popular song, “Sweet Soul Music,” which he wrote with Otis Redding as a revision of the 1960 Sam Cooke song “Yeah Man,” was released in 1967 and reached No. 2 on the R&B and pop charts and the top 10 in Europe. “Sweet Soul Music” would be Conley’s only million-selling record. Conley next released his 1967 cover of Big Joe Turner’s 1954 song “Shake, Rattle, and Roll,” which reached the top 40 on the pop charts and the top 20 on the R&B charts. With the death of his mentor Otis Redding in a plane crash on December 10, 1967, many observers assumed Conley’s career would recede, but by 1968 the artist had released several songs that return him to the charts. His “People Sure Act Funny” reached No. 20 on the R&B charts, followed by “Funky Street,” which peaked at No. 5 on the R&B charts and 14 on the pop charts. In 1969 Conley collaborated with Ben E. King, Joe Tex, and the Soul Clan on the album, Soul Meeting which was followed by a successful European tour. In 1969 he covered the Beatles’ 1968 song “Ob-La-Di, Ob-La-Da,” which reached the top 40 R&B charts and top 50 pop charts. Conley released “God Bless” in 1970, his last hit to reach the R&B charts, topping at No. 40. After four unsuccessful songs over a three-year period, Conley in 1975 moved to England and then to the Netherlands in 1977. In 1980 he legally changed his name to Lee Roberts, adopting his middle name and his mother’s maiden name. He also formed a new group and toured Europe as Lee Roberts and the Sweaters. By the end of 1980 he settled permanently in the Dutch town of Ruurlo. From there he operated Art-Con Production company and promoted the heavy metal band from The Hague, Netherlands, Shockwave. Conley was gay and some observers claimed that as one of the reasons for his move to Europe and his name change. He believed that his sexual orientation held back his career as an R&B singer in the United States. Arthur Conley/ Lee Roberts died on November 17, 2003 in Ruurlo after a long battle with cancer. He was 57. Jason Ankeny, “Arthur Conley | Biography & History.” AllMusic, https://www.allmusic.com/artist/arthur-conley-mn0000604924/biography; Ed Ward, “The Mysterious Case of Arthur Conley, Otis Redding's Protege.” NPR, Oct. 28, 2014, https://www.npr.org/2014/10/28/359613658/the-mysterious-case-of-arthur-conley-otis-reddings-protege. Jason Ankeny, “Arthur Conley | Biography & History.” AllMusic, https://www.allmusic.com/artist/arthur-conley-mn0000604924/biography; Ed Ward, “The Mysterious Case of Arthur Conley, Otis Redding’s Protege.” NPR, Oct. 28, 2014, https://www.npr.org/2014/10/28/359613658/the-mysterious-case-of-arthur-conley-otis-reddings-protege.